MiraVista condominiums in Jacksonville, Florida. MiraVista at Harbortown is a new waterfront master-planned community on Jacksonville's Intracoastal by Centex Homes. Just minutes from the beautiful beaches and vibrant downtown of Jacksonville, this 150-units luxury condominium is located on the intracoastal waterway just off Atlantic Boulevard near premier shopping, fine dining and entertainment. MiraVista is voted "The Best Intracoastal View" by Jacksonville Homebuyer Magazine in March 2006. You can live the "ultimate" view with sailboats cruising by your back door, egrets soaring overhead, and a school of dolphins frolicking in the water. 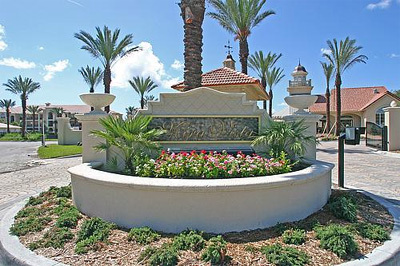 This beautiful gated community offers wonderful amenities including clubhouse with a catering kitchen, swimming pool, hot tub, fitness center, graceful fountain and colorful landscaping. MiraVista's architecture reflects a soft Mediterranean feel, complete with barrel tile roofs. The units are built using sturdy concrete construction for Florida's coastal climate. Three distinctive floorplan designs offer open, light-filled rooms, spacious great rooms and gourmet kitchens with granite countertops and stainless steel appliances. Each condo comes with a 30-foot deep garage. Choose from The Drake, The Cortez, and The Magellan. Boat slips in the marina are optional and available for purchase from the $130's. Make sure to call me about this exciting new community, I can represent you as a buyer's agent at no charge. Roomy Owner's Suite w/ Sliding Glass doors to Balcony. 26'11" x 20'6" Great Room. Pass thru kitchen bar, with countertop. 2nd bedroom may be used as a study.